CILS is presenting a Sustainable Groundwater Management Act presentation at Coyote Valley that is free and open to the public on Friday, January 13th from 1pm to 3pm. How does SGMA impact tribes? How do tribes decide what to do next? CILS is pleased to announce its recent hire of Tamara Honrado, who will join the CILS team as a Staff Attorney working in the Eureka office. Honrado will provide legal assistance to tribes and Indian organizations in the Eureka service territory. As an enrolled member of Six Nations Mohawk in Canada, she is passionate about tribal rights and Federal Indian Law, and is excited to put her passion to work with CILS. In 2015, she graduated from Southwestern Law School’s accelerated two year program. During law school, she externed at the Children’s Court in Monterey Park and assisted with updating ICWA related educational materials for court members. In addition, she was selected as an advocate for the Trial Advocacy Honors program and competed with other law schools representing both plaintiff and defense in civil actions. After graduation, she earned a certificate in Contemporary Native Nations from UCLA and was a fellow with the American Board of Trial Attorneys. Tribal governments seek protection of their groundwater rights and respectful treatment as sovereign entities. 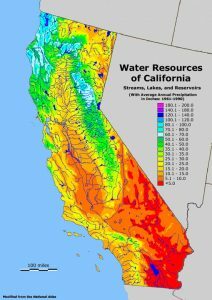 Groundwater Sustainability Agencies (GSAs) are seeking approval from the California Department of Water Resources (DWR) to implement a regulatory scheme that will eventually benefit each basin, region, and the entire state. The nexus of these interests centers on continued cohabitation and optimum management of groundwater basins by California tribes and local governments. The Sustainable Groundwater Management Act (SGMA) offers an opportunity to create and repair collaboration frameworks for the benefit of the people and the land. GSAs are required to identify Native American tribes that may have an interest in the basin they are responsible for regulating. GSAs are encouraged to actively involve diverse social, cultural, and economic elements of the population within a basin prior to development and implementation of the Groundwater Sustainability Plan (GSP). Tribal governments should engage a GSA, once it is formed, to notify the GSA that they are an interested party and wish to be included on the GSA’s required list of persons interested in receiving notices. These initial steps should begin the conversation and prepare a path for interested tribal governments to have a seat at the table when the GSP is in development and during implementation. While the above sounds like a simple and straightforward approach to government-to-government relations, the reality is there are many obstacles. However, there is hope. In other contexts where local and tribal government communication breaks down, there is no strong incentive for the parties to collaborate. What is special about the SGMA is the potential for a real, mutually-beneficial relationship between GSAs and tribal governments. The SGMA requires GSPs to pass DWR’s Substantial Compliance Criteria (Criteria) or risk state takeover of basin management. If a GSP is submitted but does not include a plan covering the entire basin, it will not pass. The GSPs are due by January 31, 2020, for critical overdraft basins and January 31, 2022, for high and medium priority basins. It is critical for a GSA to work with tribal governments to ensure that their GSP is complete. Groundwater is a shared resource requiring a collaborative approach to management. Both tribal governments and GSAs have a large stake in the management of groundwater. Currently, many tribal governments are managing their water resources, while others would like to and are in the process of establishing the administrative infrastructure to do so. At the same time, local governments, water districts, water agencies, and water retailers are tasked with implementing the SGMA and working with landowners and interested stakeholders on this new regulatory scheme. Without cooperation, local GSAs will lose control over groundwater management, and tribes will miss opportunities to understand better, protect, and utilize their water resources. (1) Whether the assumptions, criteria, findings, and objectives, including the sustainability goal, undesirable results, minimum thresholds, measurable objectives, and interim milestones are reasonable and supported by the best available information and best available science. (2) Whether the Plan identifies reasonable measures and schedules to eliminate data gaps. (3) Whether sustainable management criteria and projects and management actions are commensurate with the level of understanding of the basin setting, based on the level of uncertainty, as reflected in the Plan. (4) Whether the interests of the beneficial uses and users of groundwater in the basin and the land uses and property interests potentially affected by the use of groundwater in the basin, have been considered. (5) Whether the projects and management actions are feasible and likely to prevent undesirable results and ensure that the basin is operated within its sustainable yield. (6) Whether the Plan includes a reasonable assessment of overdraft conditions and includes reasonable means to mitigate overdraft, if present. (7) Whether the Plan will adversely affect the ability of an adjacent basin to implement its Plan or impede achievement of its sustainability goal. (8) Whether coordination agreements, if required, have been adopted by all relevant parties, and satisfy the requirements of the Act and this Subchapter. (9) Whether the Agency has the legal authority and financial resources necessary to implement the Plan. (10) Whether the Agency has adequately responded to comments that raise credible technical or policy issues with the Plan. The Criteria can be met by doing three basic things: (1) Communicating, (2) Sharing, and (3) Planning. The exchange of information between two government entities is not a seamless process. Add cultural differences and a history of conflict between tribes and state actors and you will begin to understand the respect and attention required when a GSA attempts communication with a tribal government. Half of the Criteria proffered by DWR revolve around communication as evident by criteria numbers one, four, seven, eight, and ten. Though communication between tribes and local governments historically offers challenges, it is possible to foster new lines of communication and repair those damaged when both parties have much to gain by doing so. Public meetings must be held regarding GSP contents, and these meetings are included in the GSP submission by a GSA to DWR. Any time after the initial notification of a GSP’s evaluation, DWR will accept electronic comments and post them to their website. The above comment opportunities are in addition to the government to government consultations with tribal governments that should begin long before a GSA submits a GSP to DWR. Tribal governments will want to work with GSAs once a GSA is established for a basin and well before the comment periods for other interested parties. The GSA’s interest in communicating is primarily satisfying the Criteria and ensuring their GSP is the complete picture of the basin. Without working with tribes that have, or potentially have, water rights in a basin, GSAs will not satisfy the Criteria. Speaking early in the process with tribes will set a positive tone and begin construction on a future communication framework. GSAs also have a secondary interest in communication tied to grant funding discussed further below. Remember, these GSPs are looking 20 and 50 years down the road. You would not want to go on a decades-long road trip with someone without talking to them, would you? At this point, it sounds like the GSA’s only benefit to working with tribal governments is to satisfy DWR in order to retain control of the basin. However, sharing of data and resources is an even better benefit to a GSA and tribal governments. Communicating builds the connections needed to facilitate sharing of information, resources, and ideas necessary to comply with the Criteria. A tribal government needs to understand the full extent of their groundwater rights. This includes quantifying those rights and understanding how much groundwater a tribe uses. In the ongoing litigation between the Agua Caliente Band of Cahuilla Indians and the Coachella Water District, the dispute was broken into multiple phases, and quantification of water rights received its own phase. The reason for separating out quantification of groundwater rights was due to the amount of data and technical expertise required. By working with a GSA and sharing data, many tribes will benefit from GSA technical expertise and funding. Funding? Yes, there are pools of money available for facilitating both communication and sharing of data.There is also technical assistance for GSAs and tribes to utilize if they want to understand how to go about sharing information and resources. By engaging with GSAs and DWR, tribal governments will be in a better position to understand their groundwater rights and obtain the necessary technical, political, and financial capital to assert those rights. GSAs have two primary interests in sharing information. First, the GSAs do not have access to all of the data they need, and they cannot access data on trust land without permission from a tribal government with jurisdiction over that land. The GSAs must have the ability to monitor sustainability indicators and meet measurable objectives as indicated in Criteria number one. Second, DWR sets aside money specifically for working with and directly benefiting Disadvantaged Communities (DACs). Most tribes qualify for DAC status. Partnerships when forming the GSP can open up doors to projects that GSAs never knew they had resources for. For instance, around $51 million is set aside specifically for projects benefitting DACs, which means working with tribal government grants a GSA the ability to apply for those funds. The lines of communication are in place and ideas, data, and resources are shuttling back and forth between governments, but what to do with it all? Planning is a key step for both governments to achieve their respective goals. Planning requires the prior two elements, communication, and sharing, to be in place. Proper planning will yield beneficial results in the form of established tribal groundwater rights and management of those rights for tribes, and a comprehensive GSP with a better chance of acceptance by DWR for GSAs. Collaborating with a GSA on the GSP will allow a tribe much more input and control over activities that could impact their groundwater. Within a basin, a GSA may determine that creating Management Areas within a basin are essential to properly implement a GSP.There are many practical reasons why a tribe should act as the managing entity for a Management Area, including the fact that many tribes already are managing water on their land and there would be fewer resources expended in simply working and planning with the tribe, rather than fighting over control of the area.Tribes acting as a manager of a Management Area for a GSA retain their inherent authority to regulate groundwater, but are also able to assist in planning, in partnership with the GSA, the GSP sustainability goals and overall management criteria. GSAs must submit a GSP to DWR that meets the Criteria, including criteria four, five, seven, eight, and nine that require lawful, collaborative, and thorough evaluation of all areas of a basin. A lack of planning with one or more tribes with overlying or adjacent rights to groundwater could cause considerable complications when asserting to DWR that the GSP has met the Criteria and it will be impossible to coordinate efforts to retrieve data and ensure that GSP is complete. Fail to plan, plan to fail. Communicating, sharing, and planning are simple concepts learned in elementary school, but often avoided when state and tribal governments share responsibilities. Groundwater offers an opportunity to benefit both local authorities and tribal governments by fostering a change in collaboration frameworks. Start the discussion now. Be thankful later. CA Water Code § 10723.2. California tribes were decimated upon the arrival of Europeans and later gold rush miners. The State of California sanctioned killings of California Indians to make room for mining and development. It is important that these horrific events be remembered, especially when local governments are perplexed by the inherent distrust many tribal members have of the government. For a thorough explanation of why quantifying water rights is important for tribes see Quesenberry et al., Tribal Strategies for Protecting and Preserving Groundwater, 2015. Agua Caliente Band of Cahuilla Indians v. Coachella Valley Water Dist. (C.D. Cal., Mar. 20, 2015, No. EDCV 13-883-JGB) 2015 WL 1600065. For more information on funding opportunities, contact DWR or go to the Proposition 1 funding website at https://water.ca.gov/Work-With-Us/Grants-And-Loans/IRWM-Grant-Programs/Proposition-1 (accessed on September 15, 2016). There are three classifications of land concerning Tribal Government ownership: Trust, Restricted, and Fee. Because each type of land ownership carries with it differing legal requirements and jurisdiction nuances, it is a best practice to speak with a tribal government representative with their legal counsel and produce a coordination agreement regarding access to wells, meters, and other important locations for data collection. Solicitation for DAC-related grant funding for planning will be in Fall 2017. Tribal governments have regulatory jurisdiction over lands held in trust by the federal government and GSAs cannot force themselves onto tribal lands to inspect wells or keep track of water meters. See Water Wheel Camp Recreational Area, Inc. v. Larance, 642 F.3d 802, 812-813. Program Description: Founded in 1967, California Indian Legal Services (CILS) is the oldest public interest Indian rights law firm in the country, promoting the fundamental rights of California tribes and Indians through litigation, legislative and administrative advocacy, community development, and other strategies for systemic change. CILS provides a full range of legal representation to California Indian tribes and Indian organizations, advocates for the rights of California Indians at the local, state, and national levels, and provides direct services and community education to low-income Indian individuals on issues related to Federal Indian Law. Currently, CILS operates four offices in California. Our Eureka office provides legal services in 7 counties that include 18 of the 110 federally recognized tribes in California. Additional information about CILS may be found on our website, at www.calindian.org. Manage office systems including phone and voicemail system, database, office supplies and equipment to ensure professional, efficient and timely work flow of day-to-day operations of the office. Create, maintain and organize case and correspondence files including case file tickling with minimal supervision and attention to detail. Conserves attorneys’ time by reading, researching, reviewing, verifying, and routing correspondence, reports and legal documents; drafting letters and documents; collecting and analyzing information; initiating telecommunications; organizing client conferences, and attorney meetings including preparing attorneys for meetings and court by providing meeting packets, travel arrangements and directions; scheduling couriers, court reporters, expert witnesses, and other special functions; coordinating preparation of charts, graphs, and other courtroom visuals; preparing expense/reimbursement reports; post-meeting/court follow up to ensure calendars, case files and case management system are updated accordingly and timely. Other tasks as requested by attorneys and staff. Qualifications: Minimum of 5 years’ experience – Any combination of training and experience that provides the required knowledge skills and abilities is qualifying; typical education would include a high school diploma or equivalent and legal secretarial course work. Litigation experience and knowledge of Judicial Council forms, ability to draft basic legal documents using proper procedures required by statutes and rules of court; be familiar with all phases of California court procedures, including venue, jurisdiction, pleadings, motions, appeals and the proper means and forms which matters are submitted to the court system; compose correspondence and write reports using correct English, spelling, grammar and punctuation; basic legal and tribal terminology; attention to detail in all work to be performed, and see work through to its logical conclusion required. Must be proficient in MS Office, standard PDF software programs; video conferencing/webinars and have excellent typing skills. Preference for experience working with Indian communities. Applicants must be efficient and organized. Salary: Competitive based on experience. This is an hourly, full-time, non-exempt position at 40 hours per week. Generous leave policies and potential annual performance incentive. Family/partner medical, dental and vision benefits are available. To Apply: Please submit a letter of interest, resume, and references to Patricia De La Cruz-Lynas, Director of Administration, California Indian Legal Services, 117 J Street, Sacramento, CA 95814. E-mail hiring@calindian.org. CALIFORNIA INDIAN LEGAL SERVICES IS AN EQUAL OPPORTUNITY EMPLOYER. NATIVE AMERICANS, MINORITIES, AND THE DISABLED ARE ENCOURAGED TO APPLY. CILS has four offices throughout California. Our Eureka office provides legal services in 7 counties that include 18 of the 110 federally recognized tribes in California. Additional information about CILS may be found on our website, at www.calindian.org. Collaborate with Directing Attorneys and the Executive Director for the purpose of legal work management that includes staff attorney mentoring and supervision, assistance and administration of local legal work management systems, and grant and special project development and implementation, as directed by his/her Directing Attorney or the Executive Director. Client development responsibilities include developing and maintaining effective relationships with tribes and Indian organizations in the service territory, including all funding sources, and ensuring that the office pursues and secures meaningful opportunities to work with tribes, Indian organizations and Indian individuals throughout the service territory. Client development includes all CILS funding sources. The Senior Staff Attorney will also carry an appropriately sized caseload concomitant with other duties and responsibilities that may be assigned by his/her Directing Attorney or the Executive Director. D. and California bar membership in good standing. Ability to work independently, as part of a team and to take the initiative. Competitive salary D.O.E. CILS provides family/partner medical, vision and dental benefits, AD&D, short and long-term disability insurances, life insurance, Section 125 Flexible Spending Account, generous leave policies, and potential for annual performance incentive. 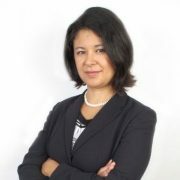 Submit a resume, cover letter, writing a sample and three professional references to Patricia De La Cruz-Lynas, Director of Administration, California Indian Legal Services, Re: Eureka Sr. Staff Attorney, 609 S. Escondido Blvd, Escondido, CA 92025. E-mail hiring@calindian.org. All applicants will be notified when a final hiring decision is made.